With the wonderful taste of Summer we had last week, we found that going out was both easy and very exciting too. Now Alice is 10 months old, she eats almost anything and has a reliable schedule for her 3 meals a day. She also loves to snack like no other and often that part of life catches me out! Whilst going out and making the most of the weather has been a wonderful thing, I have been caught out on far too many occasions with lack of snacks for her. I just forget with the mad dash of school runs and my fried brain, and I never thought I would say this, but I really do miss the days when we could go anywhere at anytime because my milk was all we needed. Nowadays it is a mass of clothes, snacks and “stuff” and I am still getting used to needing to be a little more organised! 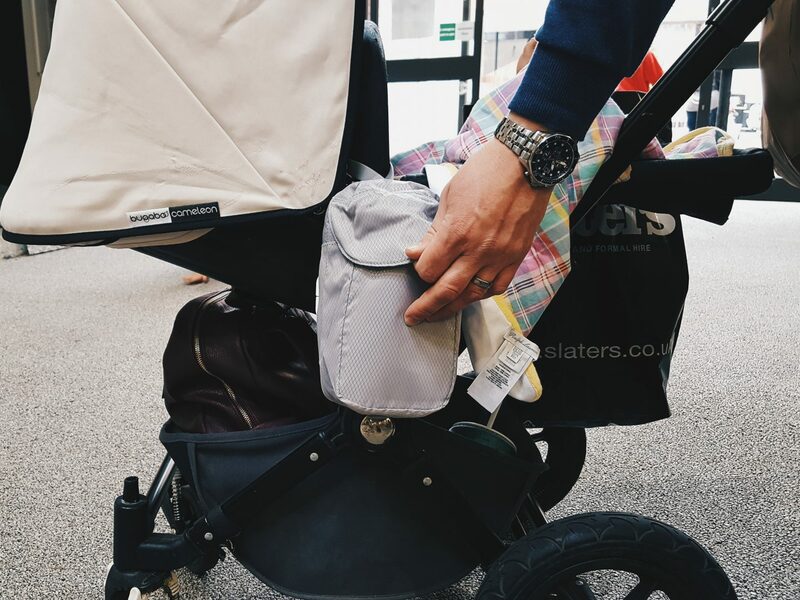 To make life a little simpler however, here are some things I have a discovered to ensure life is made somewhat easier when on-the-go with a baby this Summer! I always make sure I have a spoon in my bag. 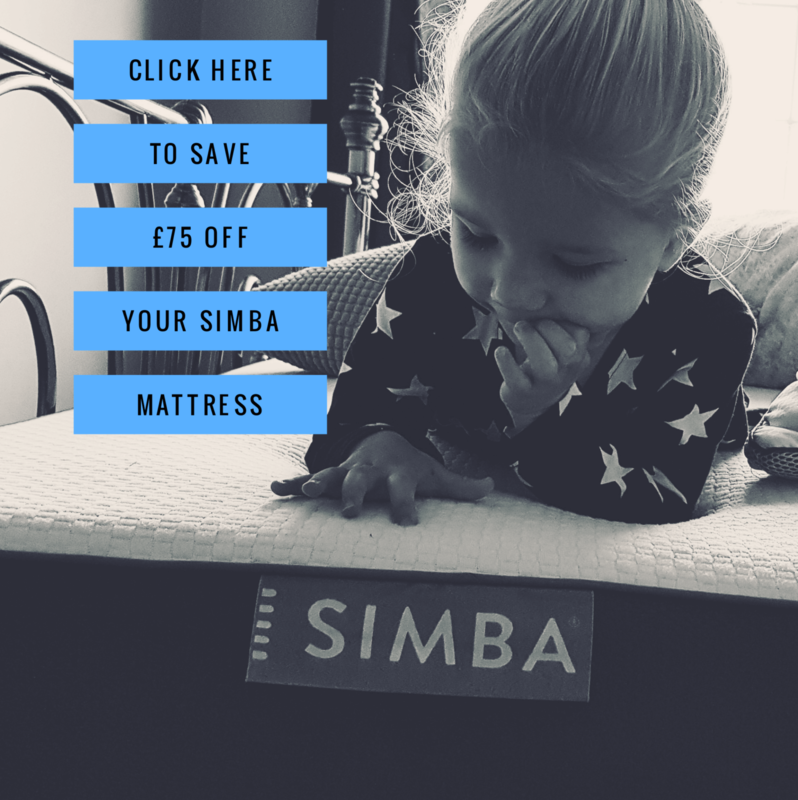 It may seem a bit random but it has saved me on many occasions from a baby melt down, and has been super useful for the times when I have forgotten to pre pack meals or snacks. It is also helpful if we stay out longer than planned and need to grab a pouch or jar of baby food for dinner. 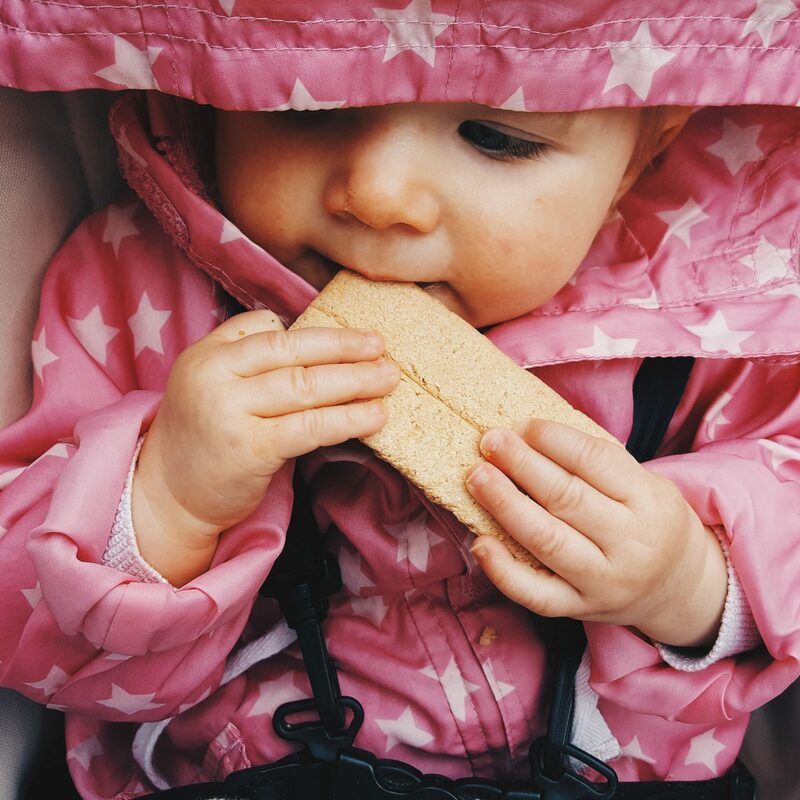 I use the one from Oxo tots that I previously reviewed, as it is sturdy, easy to keep clean and Alice seems to love it the best. It stays in my bag and I feel way more relaxed knowing we have it! I used to just shove the pack of rice cakes or whatever into my bag, but realised my other kids were dipping in and by the next day the bag was split and they were a soggy mess all over the bottom of my bag! (Not fun and very gross!). 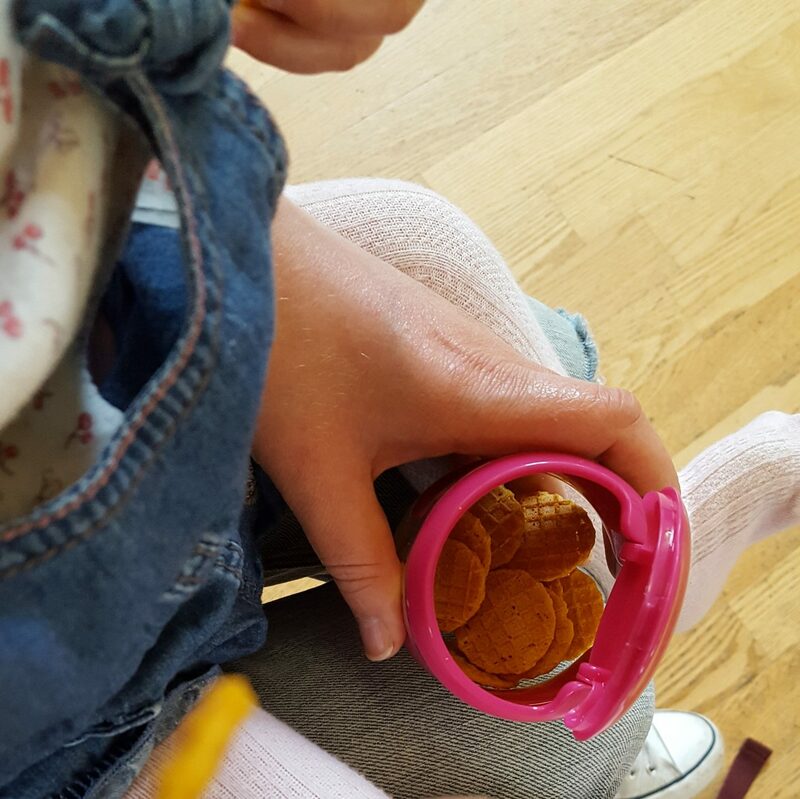 I was recently sent some snack pots from Oxo Tots that have become my new fave, and baby essential when out and about from day to day. Having them in my bag has made life so much easier and feeding Alice on-the-go more convenient. Firstly are the flip top snack pots… I love them in the Raspberry colour as they are easy to see and just look lovely. I also love that you can easily see what’s inside thanks to the clear sides. They are robust for a baby that likes to chuck stuff, and the tops are secure, yet easy to open when wrestling with said baby. I also like that if they aren’t eaten on that day, the pot keeps them fresh for the next. We also have the Small and Large bowl set which has been great to transfer left overs to and from the fridge to going out. They are easy to store and clean, and I find the small one is great to make finger food lunches and the larger one main meals. 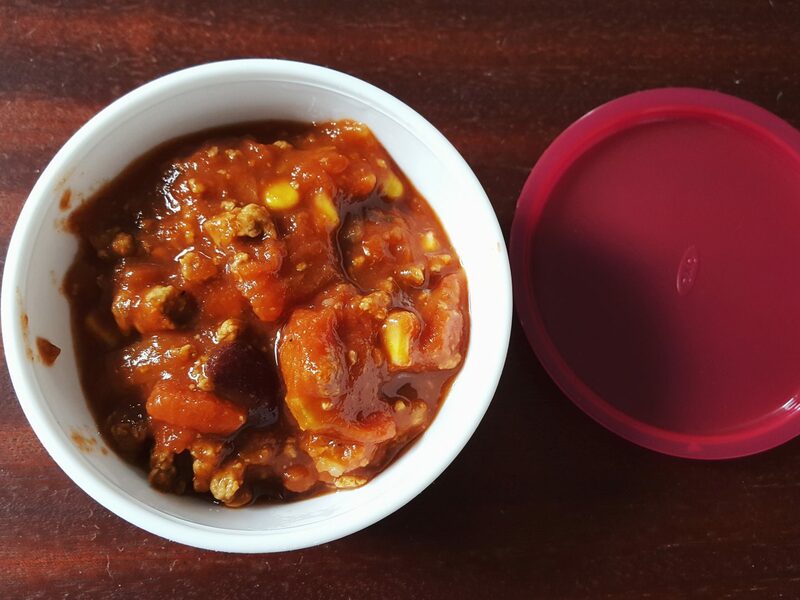 The lids are secure and are easy to pop in the microwave and heat up too. I love that they are nifty little bowls instead of the random Tupperware I used to use and I really enjoy using them day to day. I usually dish up a portion of dinner into one of these for the next day. Then we have the snacks…the market is huge with an array of snacks for on-the-go and we have tried many different brands over the years. We recently discovered “Heavenly Organic Superfoods” which combine wonderful flavours for tasty and healthy baby snacks. I really love the array of foods they produce, from fruit pouches to mini bread sticks and little “halo bites”. 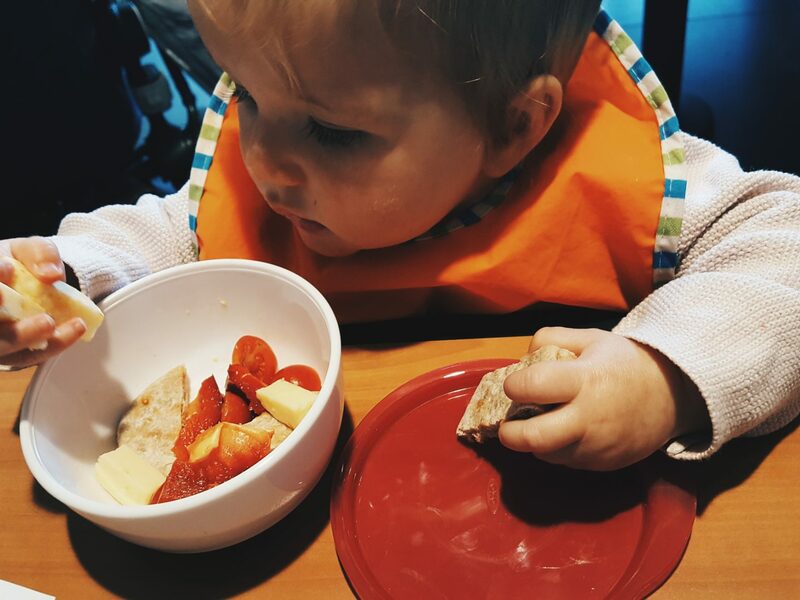 Their snacks are small enough to fit in pots and big enough for babies to grab and hold independently. Alice especially enjoyed the carrot and cumin waffles, the wafers and “Coconut Squishies” (fruit pouches made with coconut milk – yum). 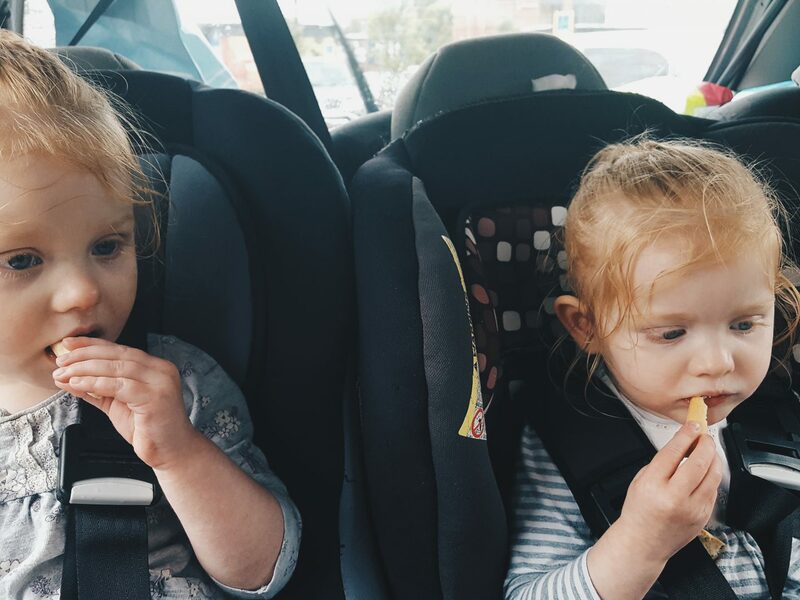 Their Rosemary bread sticks also came in very useful when I was out with my sister and her toddler twins the other week too, and went down an absolute treat! 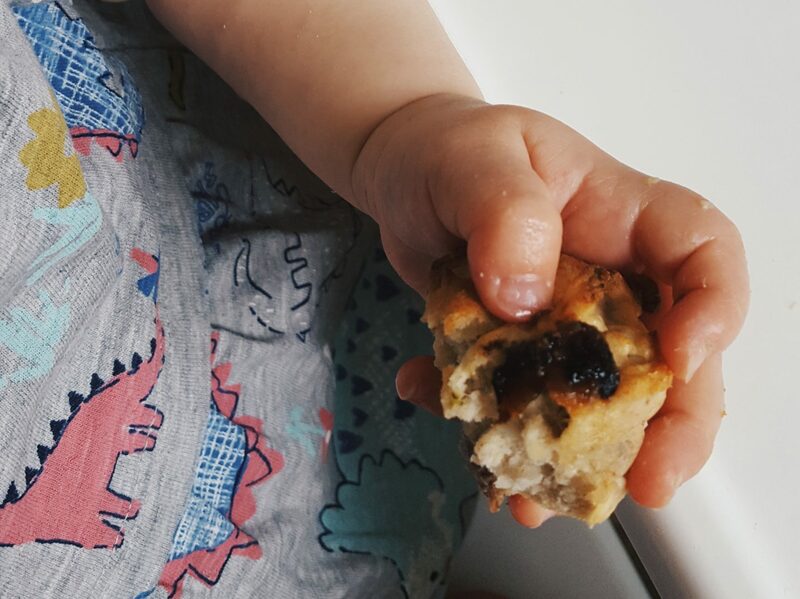 Alice also loves the Apple & Sultana muffins from local company “Little Fingers” who also have tasty savoury snacks made from carrots and lentils, and courgettes. Again these are really convenient for quick on-the-go feeding solutions (if you remember to pre cook some of them in advance). So I am very aware that this super obvious, but you wouldn’t believe the amount of times I have reached for the wipes and they either aren’t there, or its a trick and the pack is empty. Cleaning poo from a weaned baby in public with toilet roll and soap and water is pretty awkward and so embarrassing! Now not only do I keep nappies and wipes in a pouch in my main bag, but we also keep them in this handy wipes dispenser and nappy pouch from OXO tots that we were recently sent for review. I find it useful for the car, but honestly don’t feel it is something I would naturally buy myself and don’t use it day to day. Nathan on the other hand LOVES it and uses it regularly. He prefers it to a big changing bag or back pack when taking the kids out solo, and finds the grey a little more manly! 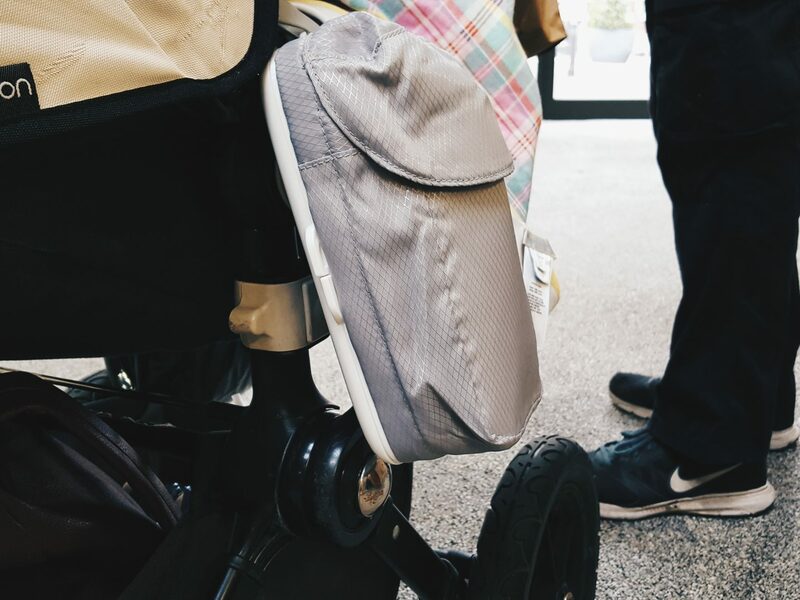 From a dad’s perspective it is the perfect baby accessory to hang on the pram, ensuring minimum “stuff” and super easy to access…it is now his thing and he thinks its great for on-the-go! Now the weather is mostly hotting warming up, it is so important to make sure baby stays hydrated. I am surprised how much water baby Alice goes through each day, but I am usually always good at making sure I have her a cup of water in my bag so she can enjoy little sips throughout the day. 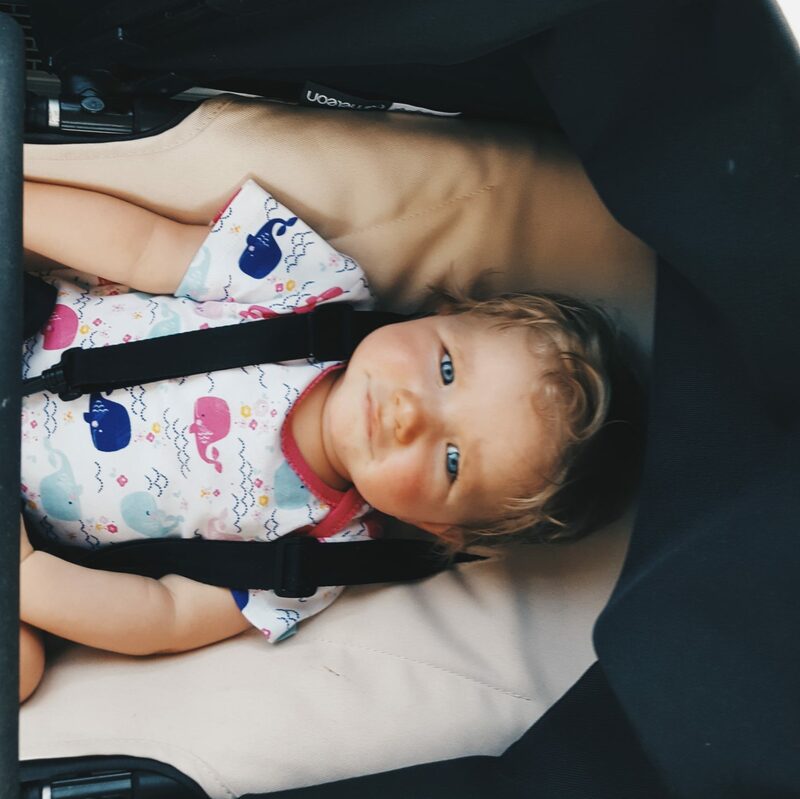 All my kids have been quite fair as babies and so whilst we love to be out and about enjoying the weather, we have to be aware of the dangers too. Remembering sun cream is often a downfall at this stage of the year, because everything is so unpredictable. Remembering a hat however seems easier (?!) 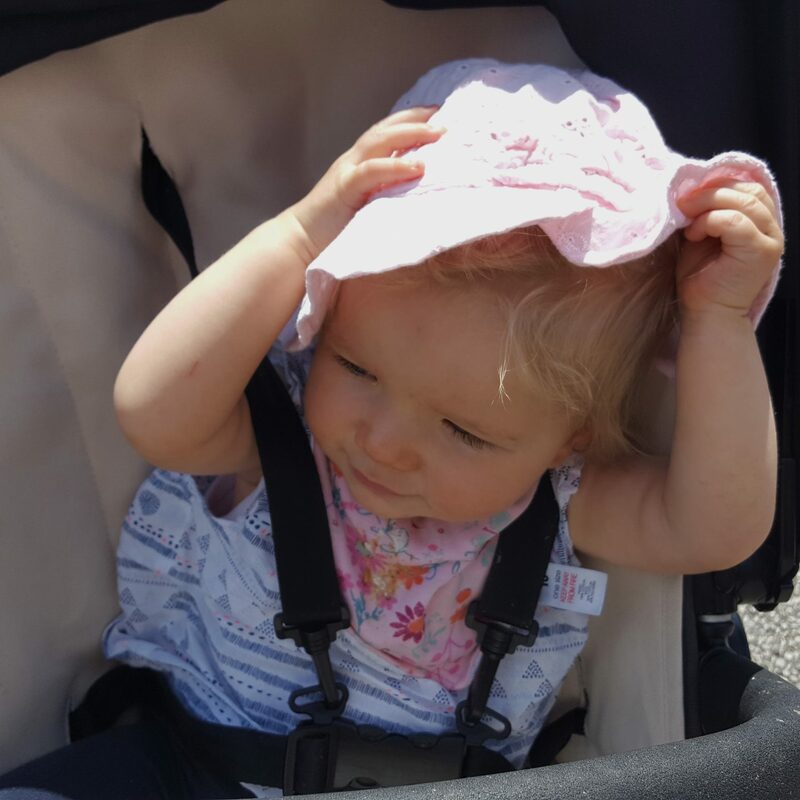 And Alice is just about getting used to her little sun hat, which was only £1 in a local charity shop. I keep it in the bag and pop it on when the sun show’s its face! Overall having a baby in any season and going anywhere is a lot of work with a heck of a lot of stuff to remember. I always think as long as I have food and water and a nappy and wipes we can make do and have a lovely day out -whether it is spontaneous or something planned. 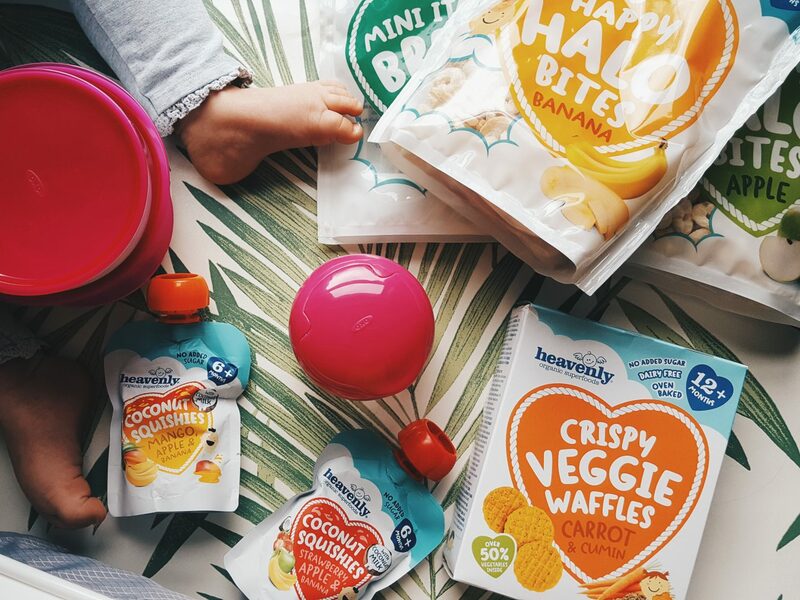 A hungry/grumpy baby certainly puts a damper on things and causes a lot of unnecessary stress, but snacks like those from Heavenly Organics and the pots from Oxo Tots, have certainly made it super easy to keep in my bag and know I’ll be okay! *Thank you to OXO TOTS and Heavenly Foods for sending these products for review. All thoughts and pictures are my own.